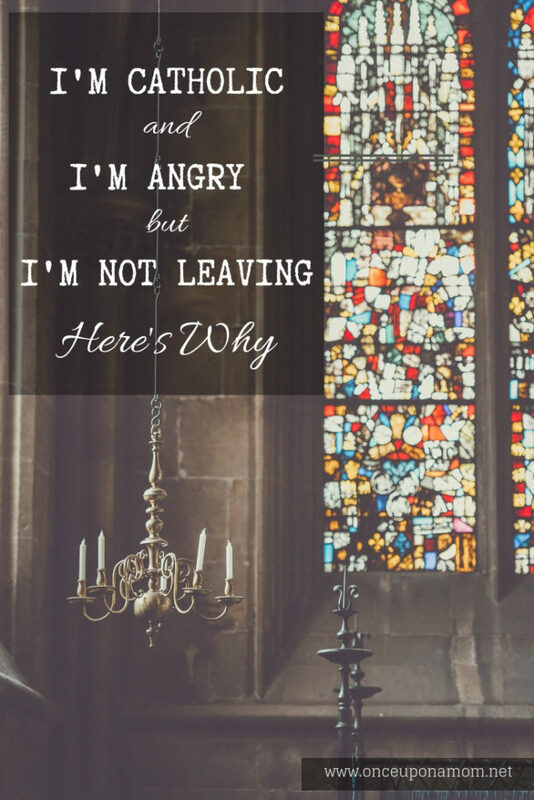 My church feels like it’s imploding but I’m not leaving. I’m not staying because it’s all I know and it’s comfortable. (Believe me, it does not feel comfortable to be Catholic right now). I’m not staying because my parents are Catholic and I don’t want to disappoint them. I’m not staying because I think this is the only church in which I can have a relationship with Jesus. (I’m quite sure I can be with Jesus anywhere). I’m not staying because my church is new and beautiful. In fact in real terms, outside the physical world, my church is old and worn, covered in scars and open wounds. Wounds scourged into her by her people, by her shepherds. I’m staying because I believe it’s true. I believe that God is present in the Eucharist. I can’t get that anywhere else. 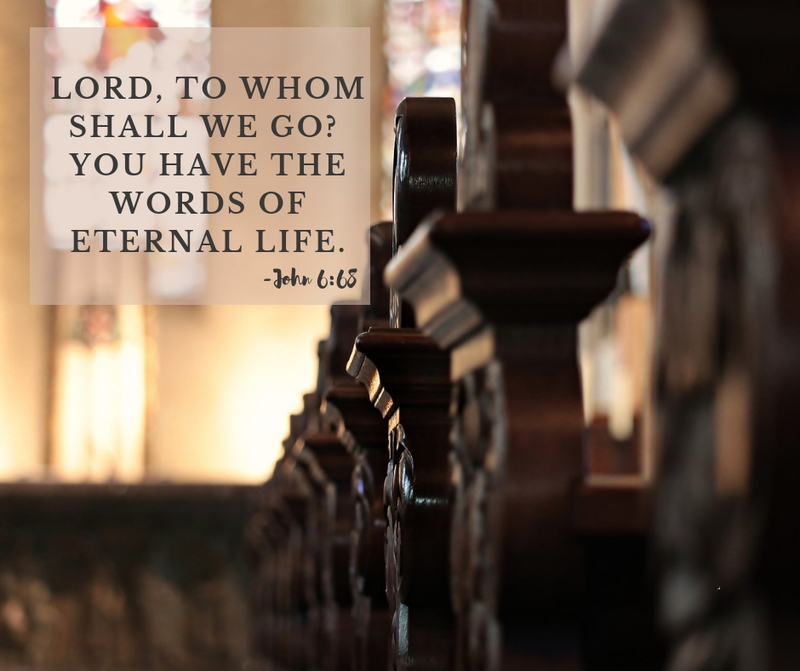 In God’s perfect timing, our recent Sunday gospel reading was from chapter 6 of John’s Gospel. Jesus tells the crowd, his disciples, us, that he is the bread of life. That we must eat his flesh and drink his blood. It’s the only way to eternal life. It is a hard lesson. Many walk away. He asks the apostles if they will leave too. Peter says, “Master, to whom shall we go? You have the words of eternal life.” I picture him saying it with resignation. He doesn’t want to stay. But he can’t leave. He won’t leave. This is the reading that I happened upon the last time my faith in my church was shaken. When the Grand Jury report came out detailing the abuse of children in the Archdiocese of Philadelphia. My Archdiocese. My Church. My Priests. In God’s perfect timing Peter speaks these words to us again. Where else can we go? If we believe in the real presence in the Eucharist. We stay. What we do next, I’m not sure yet. But we start with the Eucharist. I went to the perpetual adoration chapel yesterday and fell to my knees. That’s never happened to me before. At 40 years old, it’s pretty much impossible for me to fall to my knees, but somehow I didn’t kneel. I fell. To my knees. In the presence of God. I cried and Jesus and I had a moment. I will not let this broken church harden my heart to Jesus. I will not neglect that relationship with Him. I need it now more than ever.